We're the moderators/owners of the Wright State University gaming server, so we use Discord quite a bit. We're moving to an apartment next year and wanted to find a way to integrate Discord into our future home. The application we made is an easily expandable framework for using Discord in home automation. 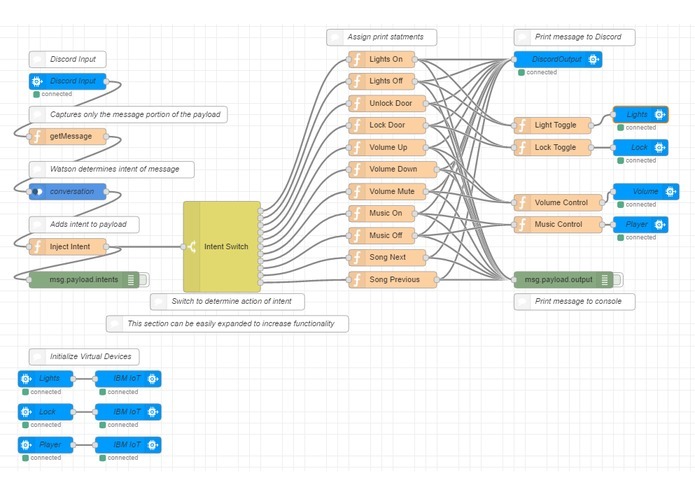 Using Watson's natural language processing, we were able to make a user-friendly system for giving Bluemix commands. We used an existing library to create a Discord bot that polls every message sent in a server for a certain trigger. In this case it was prefacing a message with "!w". In the event that such a message exists it gets sent to Bluemix where it is run through Watson's intent recognition service. Upon finding the correct intent of the user, a specific action is completed and a message is returned back to the user on the Discord server. One of the biggest challenges that we ran into was the fact that neither of us had ever used our respective softwares before. I have a background in Python, but CJ was itching to get the chance to try. I, myself, had never used IBM's Bluemix before, and I don't believe that I would have been able to complete the project without the help from the wonderful people at the IBM booth. The fact alone that we completed the project put us far ahead of the last Hackathon we attended. On top of that, we made a service that we will be able to use in the future that nobody else had done before. Each of use learned a ton of information and gained a lot of experience from working with environments that we had never used before. We also learned that there is a specific time around 3:30 am where we become incredibly productive while coding (a la xkcd's https://xkcd.com/323/). 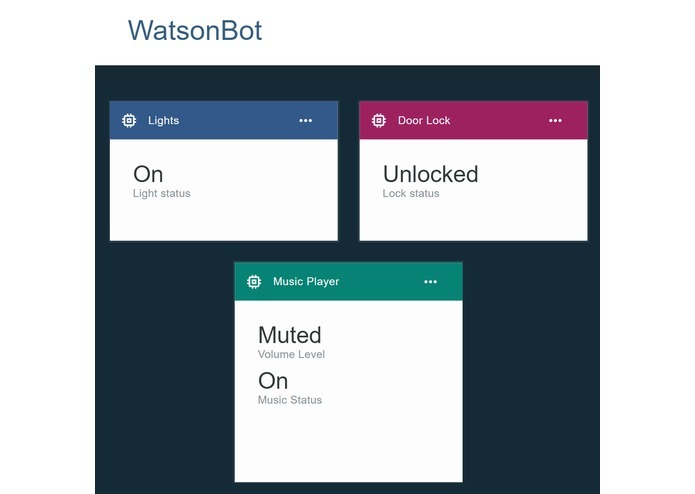 We plan on expanding both the amount of features and the functionality of WatsonBot. As it stands, we just have the framework for future use. Once we get our hands on some Phillips HUE light-bulbs and/or a Nest thermostat we'll have the software ready to go for implementation with Discord. I created the python program that sent and received data from Discord to Bluemix.